Today marks the beginning of the season of Lent. Catholics often kick into high gear during this season with a flurry of activities – ashes on our foreheads on Ash Wednesday; Way of the Cross every Friday, Fast and Abstinence, picking up the best palm leaves on Palm Sunday and making sure we attend the Good Friday service. For many, this would be the one time in the year where they hope to get bonus brownie points and make up for the poor mass attendance and the generally bad behavior of the previous year. The point is that for most people, Lent seems to be time where we are most “active”, and “activity” seems to be equated with piety and holiness. There is nothing wrong with all these pious practices and “activities.” Faith that is not translated into good works would not amount to much. Equally for a pious Jew, righteousness meant more than observance of the commands of the written Law. It also encompasses a number of pious practices, chief of which would be almsgiving, prayer and fasting. It is no wonder that at the beginning of every season of Lent, the gospel reading that is chosen speaks of these three pious practices. But what seems strange is to hear the Lord’s seeming disapproval of these outward actions. Is the Lord and the Church counselling us to avoid almsgiving, prayer and fasting during this season? Definitely not. 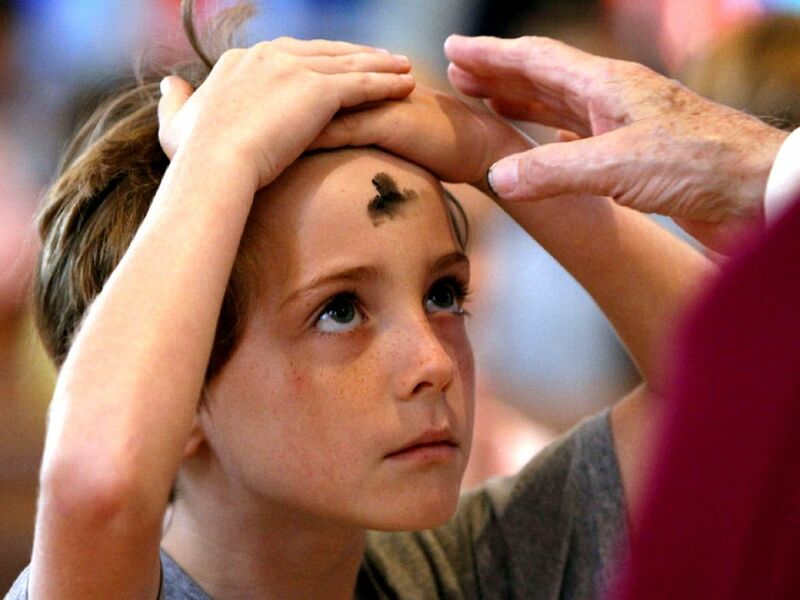 In fact, the season of Lent should be an opportunity to intensify our practice of these pious acts. The general principle enunciated by Christ in today’s gospel, however, is this: religious acts should be done to honour God and not simply better one’s own reputation. Pious self-display or showmanship is criticised, not the pious actions in themselves. Doing the will of God and pleasing Him does not need to be translated into a showy display of virtue. A disciple of the Lord should indeed practice piety with an eye to his audience, but his true audience is his Father in heaven, not his fellow men. The stress on the Heavenly Father puts the reward idea into the context of personal relationship and dialogue; it stresses that God takes man seriously and responds to his acts. The whole point is that God cannot reply to man’s actions in the dialogue of religion if man’s actions do not speak to God but rather to other men. As we examine the three pious practices, we begin to understand the importance and value of each of these actions in the life of a person as well as his community. What must avoided would be “hypocrisy”. These pious practices in themselves, however, are not evidence of hypocrisy. Hypocrisy is the split in a religious person between outward show and inner reality. Their actions do not correspond to their interior life. In spite of all these pious actions, there is no evidence of true inner conversion. So, the words of Jesus are not be interpreted as a disavowal of external actions but an invitation to match external actions with interior disposition. Our charitable acts must flow from a heart that is truly charitable and not only because we wish to earn the praises of others. We are reminded that the God who sees acts hidden from human sight will surely reward our devotions given without fanfare. By leaving the question of reward to God, one is set free for the concerns of others. Giving alms or charity helps us to reorder our relationship with our brothers and sisters. We give alms not because we pity the poor or those who are less fortunate. We give alms because it reminds us of the need to be in solidarity with everyone, especially with the poor. Giving alms reminds us that all things come from God. Nothing belongs to us and therefore we should not selfishly cling on to these things. Giving alms remind us though material things are good, they are much more valuable when given to others. Likewise, when the Lord speaks of prayer, what is being condemned is not just repetitive prayer but making a public spectacle of oneself in prayer. Indeed, prayer offered to win human praise is not prayer at all. In Jewish piety, the prayer of petition was very important, and Jesus’ disciples are warned not to confuse quantity with quality. God as a loving Father knows the needs of his children even before they make their requests, but he wants them to ask in confidence and trust. In petition, we do not so much inform God of some situation as express our dependence and faith. The Gentiles babble on when they pray, reciting an endless list of divine names, hoping they will hit on the secret name which will force the god to act. There is only essential requirement for prayer that is to trust in the Father’s loving providence. The model prayer par excellence is the Lord’s Prayer, the Our Father. Here, we come to recognise that prayer is never about arm twisting God but a humble and confident submission to the will of God who provides for our needs, who forgives us our offenses, and protects us from evil. Prayer leads to change. Prayer changes us. Note that prayer does not seek to change God. To do so would be magic. Finally, we are treated to the third pious practice that is most associated with Lent – fasting. Our modern notions of fasting is that it is a form of masochistic self-deprivation to appease a sadistic God who derives pleasure in seeing us suffer. Fasting’s association with suffering is secondary. What is primarily expressed by fasting is the intense longing for God’s salvation. In other words, fasting is prayer in action. It is an urgent invocation for God to intervene, for the inbreaking of his Kingdom or His Rule. Once again, the Lord provides a corrective to the way we look at this practice. Far from considering it as a good work which forces God’s hand, the gospel sees fasting as a concrete expression of conversion to and dependence on the Heavenly Father. Therefore, fasting leads us to review our values in life. Fasting should lead us to place God first in our lives. Fasting helps us to reject and deny the lures of temptations – especially the temptation to satisfy our own wants. Fasting sets us free from greed, and makes us more sensitive to the needs of others. Once again, fasting as a practice is not criticised but the public display of it. In the first reading, we are reminded that the prophet had already rejected fasts which did not reflect an inner hunger for social justice.